'Fiction at its finest' - Liane Moriarty, Number One New York Times bestselling author'Perfect for fans of BIG LITTLE LIES' - Library Journal How much do we really know our neighbours?The top five Kindle bestsellerThe small suburb of Pleasant Court lives up to its name. It's the kind of place where everyone knows their neighbours, and children play in the street. Isabelle Heatherington doesn't fit into this picture of family paradise. Husbandless and childless, she soon captures the attention of three Pleasant Court mothers. But Ange, Fran and Essie have their own secrets to hide. Like the reason behind Ange's compulsion to control every aspect of her life. Or why Fran won't let her sweet, gentle husband near her new baby. Or why, three years ago, Essie took her daughter to the park and returned home without her. As their obsession with their new neighbour grows, the secrets of these three women begin to spread - and they're about to find out that when you look at something too closely, you'll see things you never wanted to see. 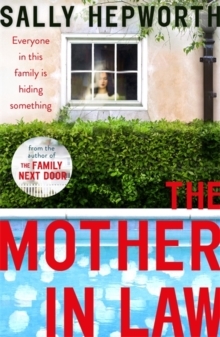 A gripping domestic page-turner full of shocking reveals, perfect for fans of Liane Moriarty (TRULY MADLY GUILTY, THE HUSBAND'S SECRET), Amanda Prowse (THE ART OF HIDING, THE IDEA OF YOU) and Kerry Fisher (AFTER THE LIE, THE SECRET CHILD). What the readers are saying'It's a MUST read. Gone Girl & Big Little Lies all in one...but better!!! ''It could be written about people I know, and people I've lived next to. And initially that's where my head space was while I was reading it. But then it veered off a little into something a tad larger...and that was okay, because at it's center was still that core nugget of wonder and knowledge that you just don't ever really know what's going on behind closed doors. It would make a great book club selection also, as the discussion fodder is endless. 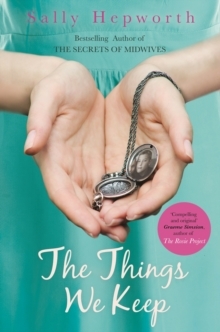 Secrets, betrayal, infidelity, motherhood, postpartum depression, mental health issues, sexuality, trust, friendship. 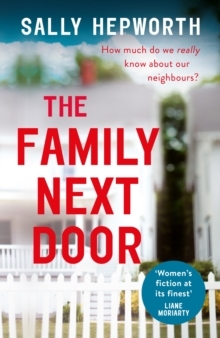 . .''The Family Next Door is almost a one seating read as once in Pleasant Street, the reader will not want to leave''Part domestic drama, part almost-thriller.